The BBC has come under fire for dropping a planned debate about homosexuality in Islam from a BBC3 politics show. 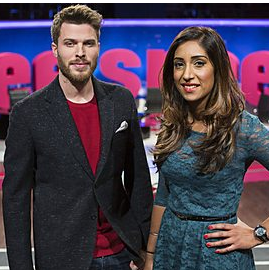 However, after an introductory clip was shown featuring Asifa Lahore, a Muslim drag queen, presenter Rick Edwards said that due to deep concerns from the mosque, the subject would be dropped. The panellists on the programme were Lib Dem peer Susan Kramer, political editor of The Huffington Post Mehdi Hasan, trans activist Paris Lees, former Conservative candidate Shazia Awan, and Heydon Prowse, co-creator of ‘The Revolution Will Be Televised’. Raheem Kassam, blogging for BreitBart London, said that it showed the BBC “failing to do their jobs properly” by allowing the item to be censored. Stephen Evans, campaigns manager at the National Secular Society said: “After agreeing to allow a programme called Free Speech to be filmed at the Mosque, it is absurd and counter-productive to then censor the topic being discussed. “It is unfortunate that the BBC allowed itself to be censored on this occasion by reactionary imams, but this was a place of worship, and perhaps the BBC would do well to choose religiously neutral venues to hold such debates in future”.